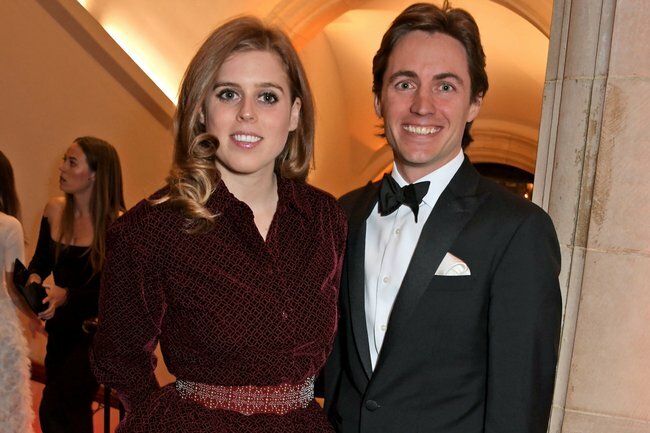 Princess Beatrice rumoured to marry boyfriend Edoardo Mapelli Mozzi. Princess Beatrice, 30, has been dating multi-millionaire property developer Edoardo Mapelli Mozzi, 35, since November last year. And this week, rumours began circulating that she may soon follow in the footsteps of her sister Princess Eugenie and walk down the aisle. The Sun reports that Princess Beatrice, granddaughter of Queen Elizabeth II, daughter of Prince Andrew and Sarah Ferguson, and younger sister to Princess Eugenie, has moved her boyfriend into her royal residence at St James’s Palace. Which of course means they’re one step closer to wedded bliss (or, as the more cynical amongst us would consider, one step closer to splitting up). Beatrice, who had been single since her split from her decade-long relationship with American boyfriend Dave Clark in 2016, met Edoardo late last year after being introduced by mutual friends. “They are incredibly happy and already planning the wedding,” an allegedly close friend told The Sun. Whilst we’re not entirely sure how long the couple plan to do the very sensible thing of living together before marriage, they’re certainly close. They holidayed with Beatrice’s parents at the Bahrain Grand Prix last week. Edoardo is not without substantial connections of his own. He’s been a family friend of the Yorks for years, after his stepfather Christopher Shale (a close friend of former British Prime Minister David Cameron) died in 2011, and they all met at the funeral. For anyone concerned that Edoardo might be doing a Meghan Markle, it should be noted that Edoardo is a descendant of Italian nobility, and is officially a Count. He’s also the CEO of Banda (meaning “big shed” in Swahili), which he founded in 2007, and a divorced father-of-two – meaning that if the rumoured wedding happens, Princess Beatrice Elizabeth Mary of York could be adding ‘step-mum’ to her title.